If you are a graduate of the ceramics program at Alfred it might be your reputation. Alfred graduates seem to dominate ceramic art in this country. Are you interested in knowing the origin of that phenomenon? I’m sure that Alfred graduates are very good ceramic artists and deserve all the recognition they get, but for those who are not part of this good-old-boy network you might be interested in some insights into the origin of Alfred’s high regard. Alfred’s reputation is built largely on the fame of Charles Fergus Binns (1857-1934), its first director and the reputed “father of American studio ceramics, and his students. Margaret Carney, in the introduction to her coffee-table book on Binns (see citation below), listed his achievements: “He is known for his teaching of the teachers of our teachers’ teachers, for his classically formed pots, for his glaze recipes that we have inherited, and for his legacy in his tenure as the first director of what is now the New York State College of Ceramics.” But Binns did not originate the idea of studio pottery. He should get credit for recognizing its emergence, but the movement toward studio ceramics was actually gestated by many mothers. The following is a brief history of how Binns may have stumbled across the phenomenon. Binns was born into a family that had long been associated with the ceramics industry in Worcester, England. His father, Richard William Binns, was the art director and co-manager of the Worcester Royal Porcelain Works for forty-five years. Workers in this large factory produced porcelain tableware and elaborately decorated ornamental wares that won major awards at international expositions. Charles apprenticed at the Works beginning at the age of fourteen. As a result of his 25 years in the factory working in various departments and keeping his eyes and ears open, Charles became an expert in ceramic bodies and glazes. It was in this capacity that he was welcomed to the ceramics community in the United States at the turn of the twentieth century and, no doubt, his knowledge of these mysteries recommended him as the first director of the newly created New York School of Clay working and Ceramics at Alfred. 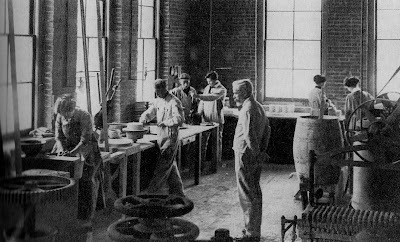 The early clay programs in the US (Alfred, Rutgers, Ohio State, University of Illinois), all of which were founded in the first few years of the 20th century, were basically programs to teach the skills needed for ceramic manufacturing. The art aspect was secondary to the knowledge of chemistry and engineering needed by the potters of this era, a time when this complex knowledge was largely unrecorded and still passed on by personal association. Charles Binns’ knowledge of clays and glazes was unsurpassed in the US. His first gig here (1898-1900) was as manager of the works of the Ceramic Art Company (later Lenox China) in Trenton, NJ, where he created and introduced a new porcelain body that lead in part to the company’s transition from artware to tableware. 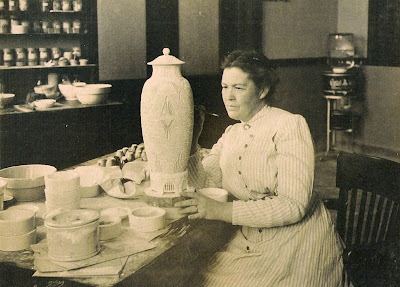 In his work at Alfred (beginning in 1901), Binns organized classes in which students learned the standard formulas for bodies and glazes and how to apply them in manufacturing situations. Few potters practiced alone in those days. Most worked in factories or small workshops with other potters who had received training at the bench or wheel. The practitioners of ceramic art were mostly the female decorators (or lady china painters as some have called them) who had home studios. Although these ladies had long practiced their decorating skills on porcelain blanks made in foreign factories, many of them yearned to create their own ceramics. They signed up for Binns’s summer courses at Alfred, where they learned the secrets of bodies and glazes. These women, Adelaide Robineau among them (she took the summer course in 1903) already possessed artistic skills in design garnered through study in various art academies. 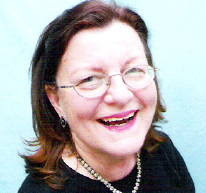 Robineau went on to become one of the great ceramic artists of her era after her experiences with Binns. As for Binns, he began to see that the ceramics market was changing. Consumer interest in the fine, extravagantly decorated porcelains of the type made at Royal Worcester was giving way to pottery, especially stoneware, and he scrambled to learn rustic formulas for bodies and glazes. He also taught himself to make ceramics on the potter’s wheel. Richard Zakin in his essay on the technical aspects of Binns’ work (see citation below) notes that Binns began to experiment with stoneware bodies and glazes about 1903. At the same time he was becoming an artist-potter, teaching himself to throw section-formed ware on the potter’s wheel. Through this work he developed a “sense of rightness ideals of design and craftsmanship, that he conveyed to his students. Margaret Carney, Charles Fergus Binns, The Father of American Studio Ceramics. New York: Hudson Hills Press, 1998. 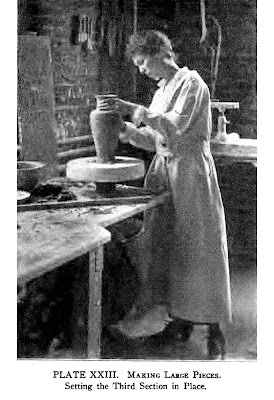 Only an Artist: Adelaide Alsop Robineau, American Studio Potter. Syracuse, NY: Everson Museum of Art, 2006.
. New York: Hudson Hills Press, 1998; pp. 112-118.